There’s always something hot off the press at The Vomela Companies! Visit us here for the latest—whether it’s a story that impacts the print industry, brings value to our clients’ business, or highlights our most recent projects. Updating a fleet of vehicles requires substantial effort, but you don’t have to do it alone. Having been involved in countless projects at varying stages of the process, we know a thing or two about sharing the load. If you’re thinking of making a change to your fleet graphics, here are some things you can do, some things your printer can do, and a few things you can collaborate on to get the job done right. Your healthcare fleet graphics program brings with it unique challenges. A trusted and experienced print partner can help you manage the project from design to installation. From small community hospitals to large multi-state national healthcare companies, we have the experience necessary to fuel your brand. 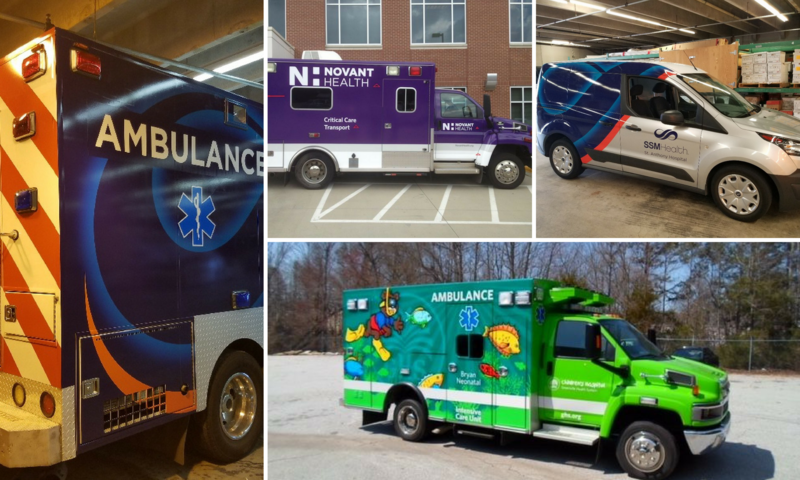 In this article, we’ll cover the unique challenges for healthcare fleet graphics and vehicle wraps, compliance and regulations for your vehicles, along with tips for a smooth project from design to installation. From our expert Dan Seliga, Fleet & Commercial Sales Rep at The Vomela Companies. Check out this content, as well as more content like it, in the Minneapolis/St. Paul Business Journal.